Most medications should be taken on your usual schedule the day before your procedure. It's usually best not to take any medications by mouth within 8 hours of your scheduled arrival time. Many medications may cause stomach irritation or nausea if taken without food. For some medications, though, the issue may be more complicated! Our goal is to tell you which medications need special consideration before anesthesia and surgery, so that you can ask your physicians the right questions in advance. The physician who prescribes your medications may need to speak directly with your surgeon or the physician who will perform your procedure. This may be the best way to make the decision of which medications — such as aspirin — should be stopped before surgery, and which should be continued for your safety. Please bring a list of all your medications with you when you come to the hospital. Medications in the ARB category (such as Cozaar, Diovan, and Benicar) or the ACE-inhibitor category (such as Lotensin, Vasotec, and Zestril) may cause your blood pressure to become low during anesthesia. If you are on any of these medications, it is usually better NOT to take it on the day of your procedure. Discuss with your doctor whether you should or should not take a dose the night before surgery. Medications in the beta-blocker category (such as Coreg, Lopressor, and Tenormin) may have a protective effect on your heart. You should take these medications on your usual schedule with a sip of water unless your doctor specifically advises you to stop. Please check with your doctor about whether you should take fluid pills such as Lasix or hydrochlorothiazide on the day of surgery, as they may cause dehydration especially in hot weather. We will check your blood pressure before surgery, and if you need more medication to treat high blood pressure, we will give it through your IV. If you are on insulin, please ask your doctor for specific instructions about taking insulin the night before and/or the morning of surgery. You will probably be advised to lower the dose since you will not be able to eat breakfast. If you take other medications (pills) for diabetes, it is usually best to take your evening dose the night before surgery, but skip the morning dose on the day of surgery. When you arrive at the hospital or surgery center, please let your team know that you are diabetic. We will check your blood sugar right away to make sure that it is at a safe level. Medications that stop blood from clotting such as Coumadin, Eliquis, Pradaxa, and Plavix should usually be discontinued at least several days in advance of surgery. Please follow your surgeon's instructions about when to stop these medications. Patients are often advised to continue taking low-dose aspirin for life if they have poor circulation, heart problems, or stents to improve blood flow. If aspirin is stopped, you could be at increased risk of a heart attack or other complications. On the other hand, taking aspirin may increase the chance of bleeding during delicate surgery such as operations on the brain or spine. Your surgeon and the physician who prescribes your medications should agree on whether it is best for you to stop low-dose aspirin or continue taking it. If you are in pain and are taking opioid pain medications such as Vicodin or Percocet, it is fine to continue taking your usual dose with a sip of water until two hours before surgery. If you are using a fentanyl patch, it is fine to leave it in place. Please let your anesthesia team know exactly when you last changed it. 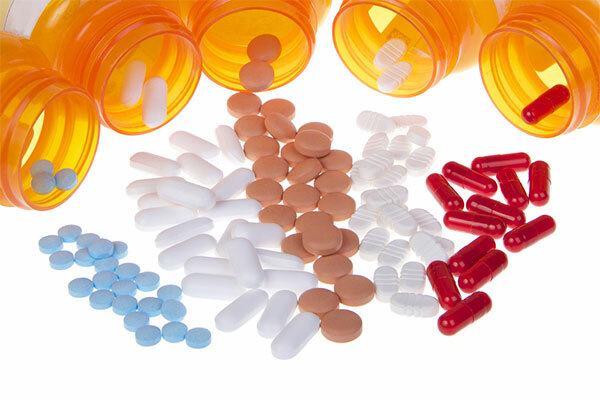 NSAIDS (nonsteroidal anti-inflammatory medications) such as Advil or Aleve are usually not recommended before surgery, as they may increase the risk of bleeding. Your surgeon will advise you if you need to stop taking these medications, and how many days before surgery they should be stopped. If you are taking Suboxone or methadone for chronic pain, please make sure that your pain doctor knows you are having surgery. It may be best for you to stop Suboxone and switch to a different kind of pain medication before surgery. If you need a consultation with a pain specialist before surgery, please ask your doctor to arrange one with our Pain Medicine service. One of our physician anesthesiologists who specializes in pain medicine will be happy to meet with you and develop a plan for pain control after surgery. Many patients take alternative or herbal medications without realizing how potent they can be. These medications are not regulated by the Food and Drug Administration. St. John's Wort and ephedra, for example, should be avoided before anesthesia because they alter the effects of anesthesia medications. Garlic, ginger, and gingko biloba may increase the risk of bleeding during surgery. Please watch this video from the American Society of Anesthesiologists if you take herbal medications, or if you would like further information about herbal medications and anesthesia.